‘Cloudy with a Chance of Meatballs 2’ Opens Next Week! *Wednesday- September 18, 2013: Cloudy With A Chance of Meatballs 2 is just a week away! To celebrate the upcoming release, we are welcoming you to the Foodimal Zoo and introducing you to a new character every day. 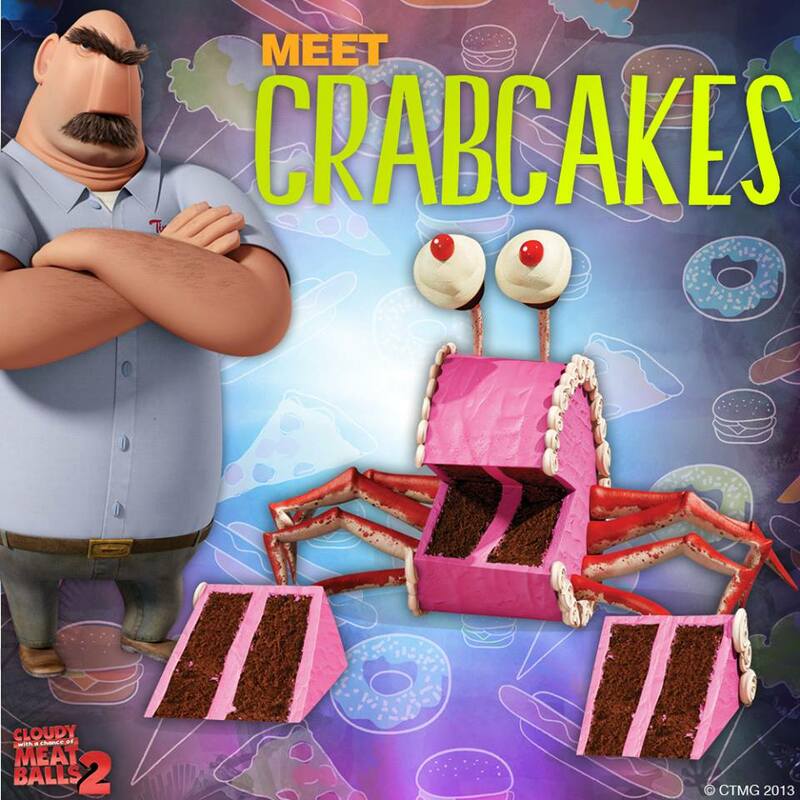 Today meet …Crabcake: a birthday cake with frosting turned crustacean. Be sure to check out Cloudy With A Chance of Meatballs 2 in theaters everywhere September 27. About the film: Cloudy with a Chance of Meatballs 2 picks up where Sony Pictures Animation’s mouth-watering comedy left off. Inventor Flint Lockwood thought he saved the world when he destroyed his most infamous invention — a machine that turned water into food causing cheeseburger rain and spaghetti tornadoes. But Flint soon learns that his invention survived and is now creating food-animals – “foodimals!” Flint and his friends embark on a dangerously delicious mission to battle hungry tacodiles, shrimpanzees, hippotatomuses, cheespiders and other foodimals to save the world – again!